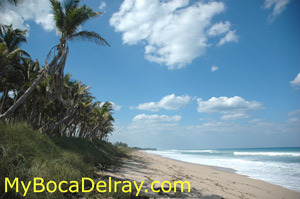 Boca Raton - Delray Beach Florida Information are some of the many advantages of life in Boca Raton Fl and Delray Beach. Beautiful Boca Raton and Delray beaches. 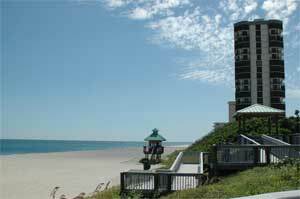 Great Palm Beach County shopping and dining. Housing is still affordable for most in Boca Raton and Delray Beach, but there are luxuriously exclusive areas where you can play 18 holes of golf in your backyard, watch a polo match or land your private plane. Your dream of waterfront living can be a reality in Boca or Delray FL on the ocean, the intercostal waterway or one of the countless canals and lakes found in Palm Beach County. Close to major 3 major airports: Palm Beach International Airport, Fort Lauderdale International Airport and Miami International Airport and well as major seaports in Palm Beach county, Broward county and Miami Dade county, Boca Raton and Delray Beach are convenient for world wide travelers and well as being a fantastic area to conduct business to a world wide audience. 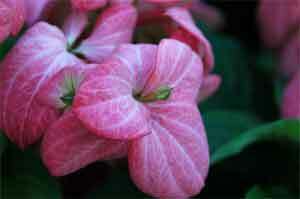 Tropical exotic flowers bloom year round. 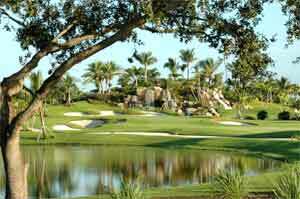 Stunning Boca Raton and Delray Beach golfing. You will find exotic tropical tress, plants and flowers all throughout Palm Beach County. People how live in Boca Raton can enjoy fresh grown in the backyard oranges, grapefruit, mangos, bananas, pineapples, papaya, avocados and so much more! Many of the finer restaurant and in the area use these fresh ingredients with locally caught fish such as red snapper, grouper, tuna, swordfish, and of course the popular Mahi Mahi also know as Dolphin - no it's not flipper that's blackened on your plate with some fresh mango chutney. 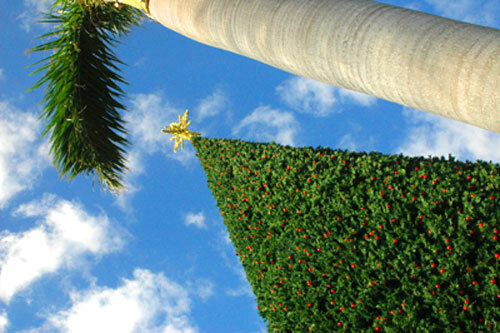 Delray Beach's famous 100 foot Christmas tree. Come in the waters fine! Palm Beach beach. 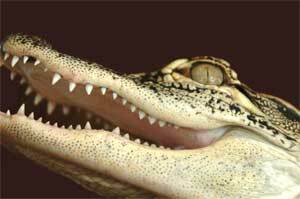 Enjoy wildlife viewing in Palm Beach Florida. 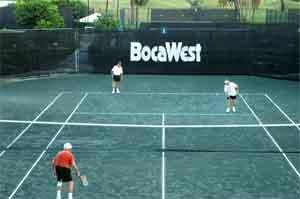 Outdoor activizes like tennis keep you in shape. 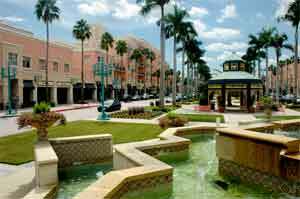 Boca Raton and Delray Beach S Florida is a shopping paradise from small boutiques that can be found downtown, one of the nations finest upscale shipping mall the Boca Raton Town Center Mall, to countess small strip malls, shopping centers and price clubs. With so much wealth found in Palm Beach County fine art, beautiful jewelry, fine antiques and some of the most exotic cars. Palm Beach County in South Florida is also known for its fine schools and pubic and private universities. Palm Beach Community College (PBCC), Florida Atlantic University (FAU) and Lynn University all make Boca Raton their home. Because Boca Raton and Delray Beach Florida or located so far south in the tropics, sometimes the balmy weather can be interrupted by tropical storms and hurricanes. The My Boca Delray hurricane center is packed with hurricane information, definitions and preparation information. The key to increasing your comfort and safety before during and after a hurricane is dependant knowing what to do along with the accurate information which My Boca Delray provides.